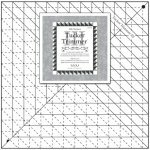 Companion product for Tucker Trimmers 1 and 3. 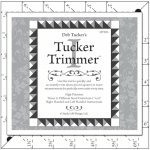 Also called Birds in the Air, Hidden Square, or Mary’s Triangles, this basic unit is easily strip pieced oversized then trimmed to size with your Tucker Trimmer. 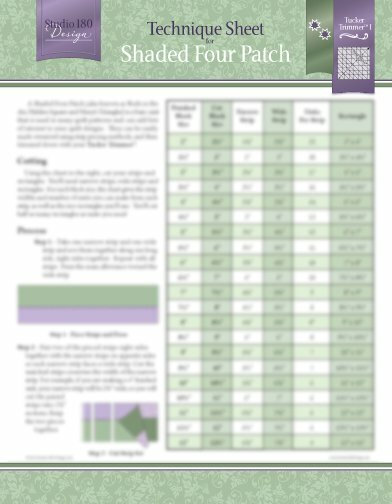 An included chart gives you cutting dimensions for 21 different sizes, from 2” to 12” finished units in whole and half inch increments. Fun block suggestions also included.